Modern Era Warriors is pleased to announce the company offers Unbeatable Mind Coaching through an intensive program. The company focuses on reality-based self-defense and fitness to leave participants strong, vigilant and capable to handle a variety of situations. The Unbeatable Mind Coaching Program offers step-by-step techniques to help participants gather greater mental clarity, enhanced physical fitness, increased focus and awareness. Participants will learn the first premise of what it means to be a warrior. Once this skill is mastered, the student is already operating at the top one percent of society. The program also teaches disciplines needed to be successful, along with the various stages of mental toughness required at the physiological level. Further, the program teaches levels of awareness and ways to use these levels to orient oneself in the real world and critical thinking skills to develop mental toughness, including the “Big 4” taught to the elite Navy Seals. Part of the program includes instilling the values needed to make a participant a true warrior.Students will learn coveted secrets to train mental toughness in others since warriors don’t achieve their full potential alone. The coach will teach participants how to train a team. Unbeatable Mind Coaching also teaches the traits that must be cultivated along the journey. By the end of the program, a student will have the tools needed to be a warrior. For more information about the company and its services, visit the Modern Era Warriors website or call 1-732-507-9361. 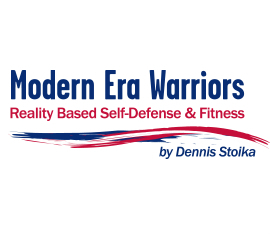 About Modern Era Warriors: Modern Era Warriors is an intensive program involving a variety of reality-based self-defense and fitness programs for a teens and adults at all levels. Dennis Stoika teaches integrated training of physical, mental, emotional, intuitional awareness, and kokoro spirit. Modern Era Warriors offers Commando Krav Maga reality based self-defense, Combat Submission Gracie Brazilian Jiu-Jitsu, National Rifle Association firearms and shooting courses, functional fitness and nutrition, one-on-one and group coaching, facilitating mastermind and lunch and learn programs, and speaking.